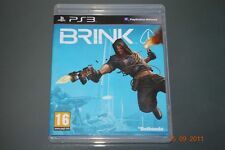 Brink (Sony PlayStation 3, 2011) [New and factory sealed]. Condition is New. Dispatched with Royal Mail 1st Class Large Letter. Please feel free to have a look at the other items that I am selling thank you. 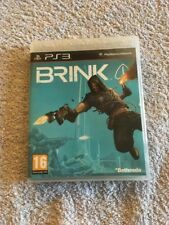 BRAND NEW SEALED " Brink " (PS3, 2011) Region Free. ONLY £6.95 & UK FREEPOST! 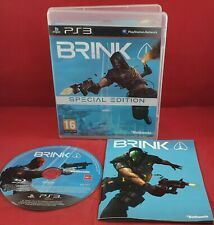 Brink (Sony PlayStation 3, 2011) - European Version Age 16 . Condition is Like New. Dispatched with Royal Mail 2nd Class Letter.